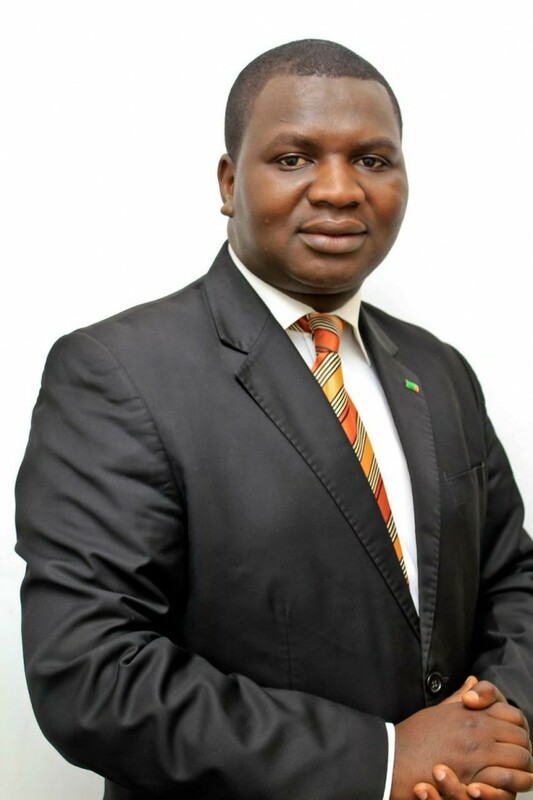 The Felix Mutati-led MMD national secretary Rapheal Nakacinda has threatened to take legal action against Prime TV and its ‘Oxygen of Democracy’ host Kalani Muchima for calling him a thief convicted by the Lusaka Magistrate Court during a live programme. Drama begun when Kalani brought up an issue of a woman named Martha Mumba who accused Nakacinda of duping her in 2006. Kalani played a video in which Martha alleged that Nakacinda had failed to deliver a lorry despite getting K47,000 from her to purchase the vehicle. She said she took legal action and Nakacinda was convicted but he still didn’t pay back. But Nakacinda said it was unfair to be grilled on a matter which he was not informed about before coming to the programme. Nakachinda, who said he was acquitted upon appeal in the matter, charged that the interview was a well calculated plan to dent his image. But Kalani insisted on his line of questioning and outrightly called Nakacinda a thief. Kalani: There is a woman in Kabwe who claims that you had stolen some money from her and that money is about K46 million in old currency because this money was paid in 2006. I wanted us not to look into that issue for now but now let’s look at that issue. Now you are an individual seated here. Nakacinda: You are saying that I stole money? Nakacinda: Are you ready to substantiate what you are alleging? Nakacinda: Are you sure you are ready to substantiate what you are alleging? Kalani: And I have used the word stealing. Nakacinda: That I am a thief? Kalani: And you were prosecuted over this matter and sentenced to two years imprisonment and you only served about 6-3 months or so. You came out of prison and this woman, her name is madam Martha Mumba if I am correct. Nakacinda: Okay let me put it this way ba Kalani, I know that you want to demonstrate that you are a robust journalist. I think you are almost at a point of terminating your career. If you come and say that I am a thief, there is somebody who has alleged [that] I am a thief and that I was convicted, having been taken to court and convicted. That is not only defamatory, I don’t know how I can put it. But nevertheless, I want to say on this platform that from here, I am going to sue you and sue Prime TV, to prove that (i) I stole, (ii) I was convicted, and this you must prove in the court of law because I think now this is beyond journalism. It’s basically wanting to defame people, you have to prove that. Would I be in public office as a thief? Would I be national secretary as a convict? I think that needs to be tried. I don’t want to answer you but I think it is best answered in the court of law. Kalani: No no no, let’s talk about it, we are all here and I have told you that there is a woman in Kabwe who says you stole her money. Let’s hear what this woman had to say because we had an interview with her. Nakacinda: I think the stance that I have advanced that (i) I must state that I will definitely have to take legal action against you and the owner because obviously what you are suggesting and saying is malicious. I do know that I had a transaction with not only her but also with a nephew. I am into a car business up to today and I am a juncture in Japan. And I am very shocked that such a story whether it’s for political reasons or whatever, she would actually twist a story the way she has presented it. Vehicles were supplied to them. At a time that the South African government had made a decision not to move vehicles on their own ways, had to be carried on vehicles. At that particular point I communicated to two clients that the vehicles that you ordered will not be able to arrive at a date that we agreed. But out of the three vehicles, there was only one vehicle that was paid in full and that was the same canter that she was referring to. The rest of the vehicles were not paid for in full including the nephew’s vehicle. When the lady was supposed to pay the balance of the K46,000 those vehicles for the nephew, including her vehicle which she is saying that was supplied were at Livingstone at the border and they needed to be cleared. She sent the money directly to the agent in Livingstone to have the vehicles cleared. Maybe to sum it up, in the process of having the other vehicles delivered, she cancelled the contract. The contract was signed before a lawyer Ernest Mwansa company and Phiri Advocates. When she cancelled the contract, it was not a criminal matter, it was a civil matter. They opted to go to court and cited me for theft by agent. In the process of litigation…that is why I am saying that you have raised an issue without canvassing the details just to maliciously say that I am a criminal. Kalani: Mr Nakacinda, I have told you here that there is a woman who claims you stole her money and I have put it categorically. And that issue, you have heard the woman here. I passed through the court also, I have this judgement, the people versus Rapheal Nakacinda in the Subordinate court of the first class for the Lusaka District Holden at Lusaka criminal jurisdiction. And this case was before Mrs AA Nosiku. And this judgement was passed in July 2009 and it says ‘I find that the prosecution has proved the case beyond reasonable doubt the accused took the money dishonestly and without claim of right with intent to permanently deprive the owner of the same. As such i find him guilty of the theft by agent contrary to Section 272 and 280 (b) of Cap 87 and I convict him accordingly’. Nakacinda: The reason why I am saying that this is all malice [is that] this matter, after the decision of the court, I appealed and I was acquitted. Nakacinda: The question I want to ask you and ask (Prime TV proprietor) Mr [Gerald] Shawa is that having alleged such a big thing against me which is libel, are you able when the truth is presented to take this same platform and present it afresh? Kalani: This is what we are saying sir, there is an allegation from somebody there, and I have given it, you have heard her. So it’s not really about you suing Kalani or suing Prime Television. It’s here nor there, the person you are suppose to be suing is the person you are from watching. I have given you the court documents which we just found in the court of law. The reconstruction of the case, going through the judgement, Raphel Nakacinda versus the people…we have gone through all these. All we are asking is, that is an allegation, you can now defend yourself. Nakacinda: Mr Kalani I want you to be objective, when you were bringing me on the set, you didn’t tell me that ‘one of the issues we were going to deal with is the issue to deal with an allegation against you that has to deal with court processes with Mrs Mumba’. Therefore, I would have armed myself with the facts that deals with that particular case. Where I stand here, I owe nobody anything. That case that was maliciously taken to court to try and fix me, I was acquitted for it. And if you understand the word acquitted, it means that it nullifies all those issues, judgement that you are talking about. I am a free man. In his conclusion, Nakacinda expressed displeasure with the manner in which he was treated and further urged society never to look down on those that have been convicted before as doing so would make it difficult for them to reintegrate. “My conclusion today is that first of all in my first time of being in politics, i have had an encounter first hand of a very well calculated malicious arrangement which i think moving forward as a country, this kind of attitude of wanting to basically fix and finish that person should come to an end. All of us must develop and attitude of saying ‘what can i do to better the lives of another person?’ i can just imaging, if i was not acquitted for example, i was a convict, that kind of attitude would not help me to even reintegrate into society because i am condemned on the basis of perception. I want to say this basically i am feeling for those who may have even served sentences and have completed their sentences to the fact that what kind of society would you build if those people are condemned on the basis that they went to prison. If me the acquitted one i can be subjected to this kind of treatment,” said Nakachinda.